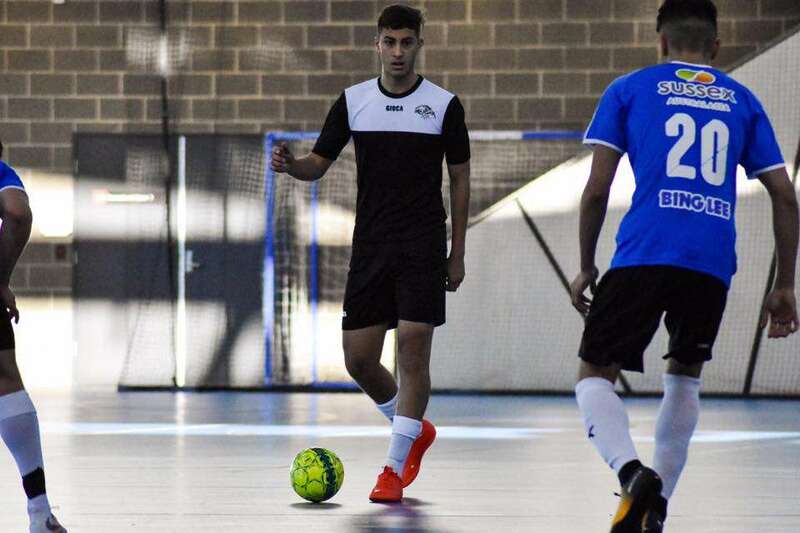 Round 1 in NPL2 saw us take on old foes Sydney City Eagles in what was an absorbing day of futsal. It was great to finally get some competitive games under way after steady preseason. We thank Sydney City Eagles for their hospitality and commend them on their home games facility which was impressive. Our Development (U11) boys kicked off the day with a high quality match featuring some fantastic skill from both sides. Unfortunately, our opponents did not have any other academy sides so it was a week off for many of our younger Taipans. The 12 Boys kicked off the graded competitions and the Eagles got off to a flying start leading 3-1 at the break. We just could keep pace with a fluent Eagles attack who also won the second half by the same score leading to a 6-2 win. The Taipans have had an impressive pre-season however this shows they still have some work to do although we feel that the Eagles may just have set a new benchmark in this age group. The 13 Girls had a torrid season last year and with a new sense of ambition coupled with a encouraging preseason, the girls started their league campaign with a hard fought 3-2 win over a resilient Eagles. It was the Taipans that hit the lead early but two goals from breakaways saw the girls fall behind at the break. The Taipans appeared to be in control of the game despite the score and their possession and determination showed in the second half where two unanswered goals saw them to victory. The 14 Boys kicked off the first official Club Championship points game and got us off to a nice start. The boys looked to be firmly in control despite being up just 2-1 at the break however a much more efficient second stanza saw the boys pull away before a couple of late goals put some respectability back into the game with the Taipans winning 5-3. The 15 Girls saw a free flowing and high scoring game with the Eagles running out 5-4 winners. It was all square (2-2) at the break and anyone’s game however the Eagles kicked ahead midway through the second half and despite a strong finish from the girls, we were unable to find an equaliser. The 16 Boys faced what looked to be a depleted Eagles side. Whilst our boys weren’t at full strength either, we proved too strong for the Eagles on the day. We took control of the game early and never really looked back. Racing out to a 3-0 lead at the break, we looked to take the foot off the gas in the second half eventually running out 5-1 winners which gives a boys a great platform to work from. The 18 Women are expected to feature in the playoffs and they showed their credentials with a barnstorming 6-3 win headed up by a hat trick from Rilee Wagner. It was a strong offensive display from the Women who had the opposition on the back foot for much of the game. The Eagles did score from a couple of set pieces to keep the score respectable however it truth, the Taipans were just too strong. The AWD saw a 2017 Grand Final replay and after a tense and nervy opening quarter to the game, the Taipans found the net twice before the break. The Eagles though definitely looked to have had the greater opportunities and had it not been for the goalkeeping heroics of Nathan Whalen, it could have been anything. The Eagles looked to be deflated by their lack of reward for the effort and the Taipans took full advantage by running away with the match winning comprehensively in the end 6-1 although to be fair, the Eagles didn’t deserve that score. The Youth Men got off to a rocky start with some careless turnovers allowing the opposition to dictate the game. 3-1 down at the break and the boys were staring down the barrel of defeat. It was all out attack in the second half and coupled with some desperate defending, the boys clawed themselves back into the game drawing level late before a last minute goal pinched it for the Taipans in what was a memorable 4-3 win. The Open Women welcomed Leena Khamis to the team and got off to a steady start leading 2-0 in the opening term. The first four minutes of the second half saw the game turned on its head with the Eagles scoring three unanswered goals. They added a fourth midway through before the Taipans got back into their groove. The girls pulled a goal back late in the game and had two good looks at an equaliser but were left to rue that period after half time going down 4-3. Lessons learned I am sure. The Open Men took the field with less than 50% of players available this week. Despite this, the guys took the lead early and seemed to be in control till about midway through the first half when the Eagles took flight. Down 4-2 at the break, the Taipans had a series of good looks thwarted by the Eagles goalkeeper in both halves however lack of depth never really gave the boys a serious chance at threatening the reigning Champions who won comfortably when it was all said and done 6-3. We now focus our attention to our first home game of the new season as we host Boomerangs FC.